part 1. Initial idea and influences. There have been a few games with unique art styles that have grabbed my attention over the last 5 or so years. Being late to the indie game party, I wasn’t really aware of it’s forefathers such as FEZ, super meat boy or Braid until recently, but I have since fully embraced indie games for their diversity and their range of narrative style and expression. 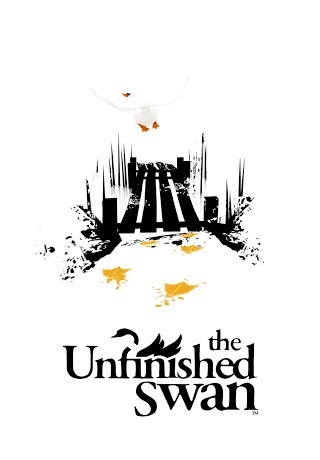 This has been exemplified in a game called the unfinished swan. Not only is it an interactive story book (as opposed to the traditional interpretation of a ‘video game’), the main mechanic of throwing around black paint to reveal the environment in an otherwise blank space is as charming as it is striking. Almost whimsical in terms of narrative, it’s charm and innocence made playing the game a joy, and has been a source of inspiration for my game. I have studied art for the majority of my life in some form or another, so it seemed like a logical progression that if I were to develop an idea for a video game, the concept of manipulating colour would somehow factor. It wasn’t until I played Runbow on the Wii u that I suddenly realised how brilliantly the manipulation of colour could be used in such a fun and accessible game. A 2d platformer at its core, runbow’s hook is that the colours of the platforms and background are constantly matching and changing, causing platforms and obsticles to disappear and reappear at a frantic pace. 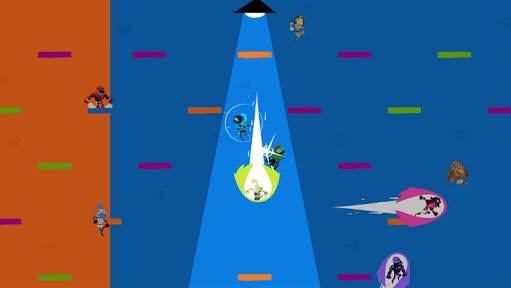 Not only had I thouroughly enjoyed playing runbow, both as a single and multi player game, this simple yet very effective idea has been one that has stayed in my mind for a long time. 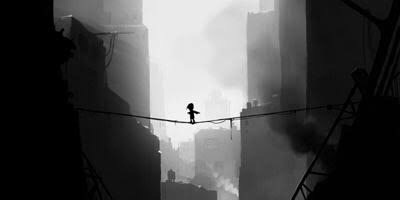 In a compete contrast to Runbow- Limbo, and more recently, INSIDE, from developer play dead, have been immensely enjoyable aesthetically and in terms of their narrative ambiguity. Where limbo and inside are monochrome and muted, their stories are minimalist and open to interpretation, and limbo especially manipulates light and shadow to beautiful effect. I originally thought of my game as a ‘twin stick’ 2d side scrolling platforming game, controlling he movement of the character and an item/ weapon independently, like in luigis mansion or old school arcade space shooting games. 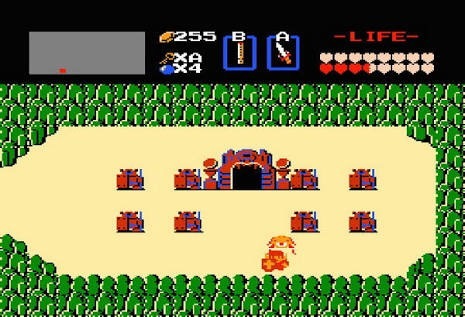 Something that has always been close to my heart, however, is the original Legend of Zelda on the NES. Considering my lack of programming knowledge, employing a ‘subtraction’ philosophy would be an advantage at this stage, and therefore the removal of a jump button suits the LOZ mechanics. I would start by using the most easy to use platform to create a ‘sketch’ o the game, to test out core mechanics, ad sighting influence from older games is becoming more apparent. Using a top down perspective akin to LOZ and more recently the binding of Isaac, also allows for a degree of discovering the unknown. Reading ‘Game Over’ resigns how the catalyst for the original LOZ came from Miyamoto going into forests in Kyoto as a child and discovering. Even in an age before the Internet, paying a video game like LOZ, there’s a certain sense of romantasisim in older adventure games, such as having to draw out the map and take notes manually to help your progress, rather than online walkthroughs or forums. Posted in Making a game, Uncategorized.